What is pseudo gout (or the misspelled sudo gout)? Caused by a calcium deposit there are some things in common with regular gout and there are differences. Actually, the medical spelling is 'pseudogout.' The first and most often place it is found is in the knee but it can be in any joint including but rarely in the back. The similarity to gout is pain from inflammation. Like gout, the Water Cures may be the solution to end the pain and help you get your life back.Based on our testimonials, we have additional protocols to help. Pseudo gout has a number of commonalities to gout. It involves crystals, in causes inflammation, it results in pain and it attacks the joints. 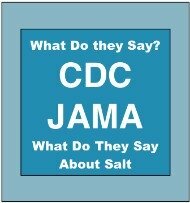 There is also another name for this kind of gout, CPDD. It is known as Calcium Pyrophosphate Dihydrate Deposition disease or CPDD. The crystals in regular gout is monosodium urate. The build up of uric acid is what causes the inflammation and pain that those with gout, usually in the feet, feel. Pesudo gout is different. 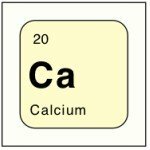 Science does not know what causes the buildup of calcium pyrophosphate crystals in pseudo gout. There are a number of theories. We believe, based on the experience of those who have eliminated pain and solved numerous health problems, the cause is either chronic dehydration and electrolyte imbalance or fluid and electrolyte imbalance secondary to excess calcium supplement intake. What this means is we believe it could be from taking too much calcium supplements, taking the wrong kind, taking the wrong combination, a lack of water and salt or a combination of the above. It could likewise be due to not enough of the right kind of electrolytes too. In particular, it could be due to not enough magnesium. But don't go out and start buying magnesium supplements. Science Says: It is believed that the increased breakdown of ADP (adenosine triphosphate) resulting in a buildup of pyrophosphate in the joints, resulting in crystal formation. Other theories are emerging, such as a relationship of hypomagnesemia (low magnesium) and pseudo gout. Taking magnesium supplements is reported to help relieve symptoms (don't go get mag supplements just yet). Other causes are thought to be past injury, previous gout, the accumulation of protein in various organs and tissues of the body, under active thyroid, too much calcium in the blood (from calcium supplement use) and low magnesium levels. Our joints, made up of cartilage have a lubricating fluid that is primarily water. As the joint cartilage slide, some of the cells die and are replaced. The less hydrated our body is, the more friction is experienced in the joints. The more friction, the more the cell loss. When cells die, others are generated. This is a water dependent process. 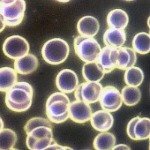 At the same time, in a bone near by, blood cells are also being made. These also require water to be produced. The body tends to allocate resources from the most important function to the least. Making blood is more important than joint fluid, When we have a decreased water intake, the blood flow is shunted and more water goes to the production of blood than joint lubrication. The more cells die and the less that are replaced makes for space by other things. Things that would normally be flushed out when properly hydrated. 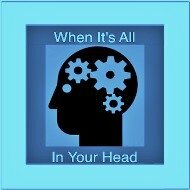 Think about it...the diagnosis is an indicator that psuedo gout (false gout) is a condition of chronic dehydration. In the name of the crystal, Calcium Pyrophosphate Dihydrate Deposition disease or CPDD, deposition means deposit. How does it get deposited unless there is not enough water to flush it out. Water is not enough. In addition to increased water intake, there is a need for an electrolyte to help with the transfer of the water. Remember, there is no circulation there. The electrolytes help the cells absorb and transport the water as the water helps transport the electrolytes. When you hear the word electrolyte, what comes to mind? Did you think electricity? What do water and electricity have in common. Actually, pure water cannot conduct electricity. It requires electrolytes to allow the electricity to flow. So, the water and electrolytes, in addition to helping each other transport throughout the body, help produce hydroelectric electricity. Water and electrolytes help in the production of ADP. ADP is the stored energy in our cells. One of the things ADP does is help with nerve transmission. Nerves are the transmitters that send pain signals and the same ones that signal to open and close blood vessels. 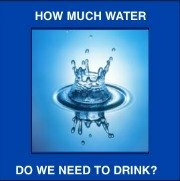 With out water, the ADP breaks down faster. With out the salt (electrolyte), the water cannot get into the cell to help the ADP function properly. Don't forget the magnesium. One of the best ways to transport magnesium is along with water through the blood stream. When you dissolve unprocessed sea salt in your mouth (it has electrolytes and up to 80 different trace minerals), it is quickly absorbed into the blood stream. This absorption is much faster and efficient that going through the gut. 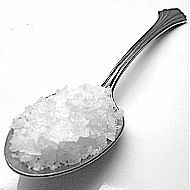 Unprocessed sea salt has trace amounts of magnesium. Allowing it to dissolve in the mouth gets it in the blood much faster. Drinking water, allowing it to go through the gut to get into the blood finalizes the transport of the magnesium that went from your mouth to the blood to the cells, such as your cartilage. We have numerous testimonials of people who have tried water cures and have eliminated their pain. In sever cases, it could take 15 days to notice a difference and total relief may take a month or more. One woman commented that it cannot work. If it worked, she reasoned, her doctor would have told her about it. Yet, hundreds of people are saying it works. They are not going back to their arthritis doctors because they have no pain. Unfortunately, if the doctors cured you, they would be out of business, or at leas they think they would. We believe there would always be money to be made but that is another topic. Remember too, there was research that suggested magnesium supplements were associated with eliminating the pain. That is from Doctors. Only thing, unless a doctor was aware of that study, how would he know to tell you. To be fair, not all doctors are about the money. Speaking of money, we are not profiting from sharing this knowledge. It is your for free. The only cost, your time. If it works, we kindly ask you share your experience so others can benefit from it too. Sometimes the water cures alone will not work. 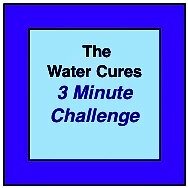 In our experience, when the water cures alone does not work, there is an alternative treatment you can use. It involves increasing your magnesium. Unfortunately, this will cost. While we like free, this may cost between $1.oo and $7.oo to purchase the 2 ingredients and make it yourself. The Magnesium Bicarbonate Recipe is easy and you can do it in your kitchen. Once the mixture is made and diluted, you may have to experiment with how much you take. Some start off with a glass once or twice a day. If that does not bring dramatic results, some have tried an even more concentrated amount. We would like to offer an additional option. In addition to drinking the magnesium water, eat some kelp to boost your iodine. Mix it with a salad or get some snacks made from kelp. Additionally, vitamin C and selenium is necessary. Many get their selenium from 2-3 organic Brazil nuts a day. If you use this protocol, please let us know how it works for you. 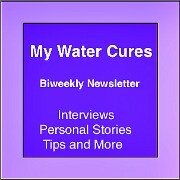 Good health to you and yours from Water Cures.